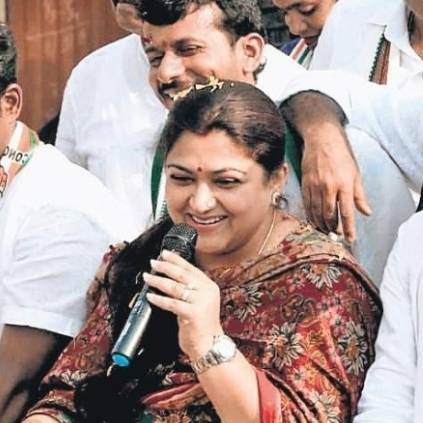 Actress Khushbu Sundar is an active member of the Congress Party and she has been campaigning in support of her Party members for the upcoming Lok Sabha elections. She has now slapped a young man from the crowd during one of the campaigns and the reason is shocking. While Khusbu has always been strong in expressing her opinions out and fighting for what she believes in, she is a person who has no room for misbehaviour. Recently she was campaging for Congress supporting a party member in Banglore, Karnataka. When she was walking towards the campaign vehicle among the crowd, she had been groped by one of the young men from the crowd. She did not step back or let him go as it usually is done due to fear of judgement but she turned back and slapped him thereby punishing him for his misbehaviour which taught everyone a lesson about conduct and imposed fear among them. This act of Khusbhu has been getting so much positive comments in social media. This has also lead to female reporters who face such issues, during their work, gain some courage and confidence to retaliate those who offend them. People looking for online information on Election Campaign, Khusbboo Sundar will find this news story useful.